Polymer concrete drains are a viable option for breweries, wineries, cideries and distilleries, but they can be tricky to understand. 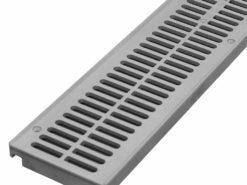 As with stainless steel trench drain installations, there are grating and catch basin considerations when planning a drain. But with polymer concrete channels, process temperature and chemical resistance of the process becomes more of a focal point. I’ve assembled a list of questions you should ask yourself before purchasing a polymer concrete drain for your fermented beverage process. These are the same questions you’d have to answer while looking for stainless steel brewery drains. But while brewers are familiar with stainless, concrete isn’t something necessarily on their radar. ** Disclaimer ** I’m writing from the assumption that your facility will install the drain in a poured “slab-on-grade” concrete floor. If you have any wacky engineering feats – wooden or suspended floors – then I recommend talking with a structural engineer before me. How long do you plan to be at the facility where you are building? Ask yourself, from a business perspective, whether it makes sense to invest heavily in a brewery drain if you plan to move to a large facility in 5 years. Don’t invest in costly stainless steel and leave money in the floor if you plan to outgrow the site. Consider a polymer concreteoption. What channel material is best for my process? When selecting a polymer concrete channel, not all polymer is created the same. All standard, off-the-shelf products from the top four polymer concrete manufacturers (POLYCAST®, Polydrain, MEA) are made with a polyester resin. Polyester based concrete has good strength and chemical resistance but only a continuous temperature use limit of 140°F. Most of these manufacturers will have an alternate material made from a vinyl ester resin which is even more chemical and heat resistant. Vinyl ester based concretes can handle continuous process temperatures up to 180°F and more aggressive acid concentrations. This channel composition is commonly specified for EPA containment trenches. One drawback, vinyl ester components are difficult to make during the heat of the summer months. Lead times can be long. So, think about day-to-day brewery operations how you’ll be dumping the water. How hot is that liquid? Are you dumping it on the floor or hosing it directly into the drain? Use vinyl ester concrete when the regular temperature hitting the drain is continually above 140°F. However, if you aren’t concerned about coating the floor in a protective layer, why are you so concerned about the drain? Rule of thumb – Are you coating your floors to protect them from the process solutions? If yes, use vinyl ester based polymer concrete channels. If no, use the standard polyester-based drain channels. What traffic will the drain see? Is it really, really only going to be foot traffic? Really? Or will you have an occasional hard wheeled fork truck drive over it with a load of malt? Grating costs increase with the load class, in general. Class A loading is for foot traffic only. Thin steels and open fiberglass grating works well in this application. For hard wheeled fork truck traffic, ductile iron frame and grate systems or heavy duty stainless steel bar grating are necessities. If you have loads somewhere in the middle, a standard ductile iron grate is the best value. With what material should the grate be made? 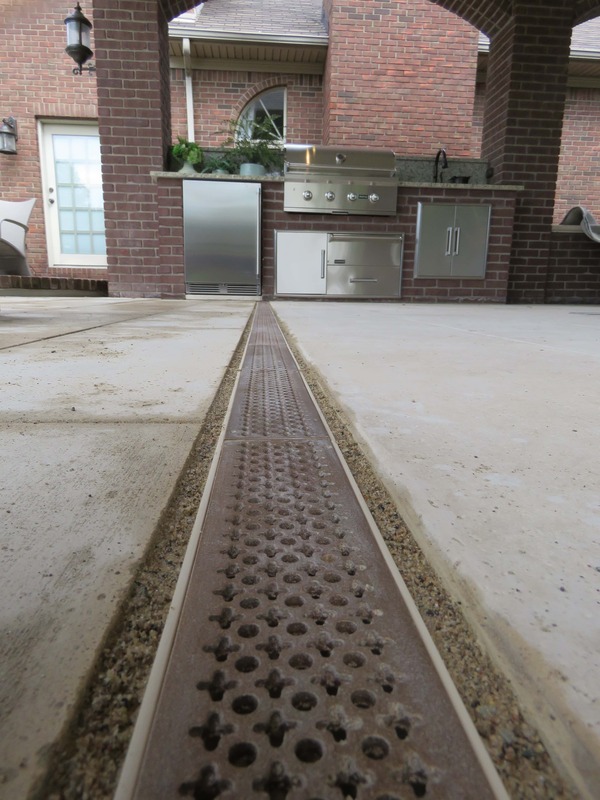 If your drain channel is made with stainless steel, use a stainless steel grate. If you are using a vinyl ester channel over stainless steel to reduce costs, you can still use stainless steel edging and grating. No problemo!! Stainless steel is great for chemical and heat resistance and gives a nice “clean” look to your operation. If you have concerns over the high cost of stainless steel, consider using a ductile iron product. Yes, there is a chance that the process chemicals will eventually corrode the grating. You may even have to replace a few grates in 5 years, or so. But, what have you saved? Stainless steel can be 5 times the price of ductile iron. You can replace a bunch of grates for that price difference. At this point, you need to decide what vision or aesthetic you have for the process. Are you a back room brewer or a clean room craftsman? And, that’s a question only you can answer. Shop online at drainagekits.com. Need more guidance? Call our experts today at 610-638-1221, 8-5 EST, Monday – Friday, or CLICK HERE to request a quick quote.